Migration in Europe and Local Tradition (MELT) is a European project that strives to discover and celebrate the diversity of local communities, to give visibility to their inherent creative potential, and to foster transnational exchange and mobility of cultural players as well as intercultural dialogue and international collaboration. The exchange takes place at different levels and involves professional artists, amateur artists (“community artists”), cultural facilitators and community members working as volunteers in the cultural sector. 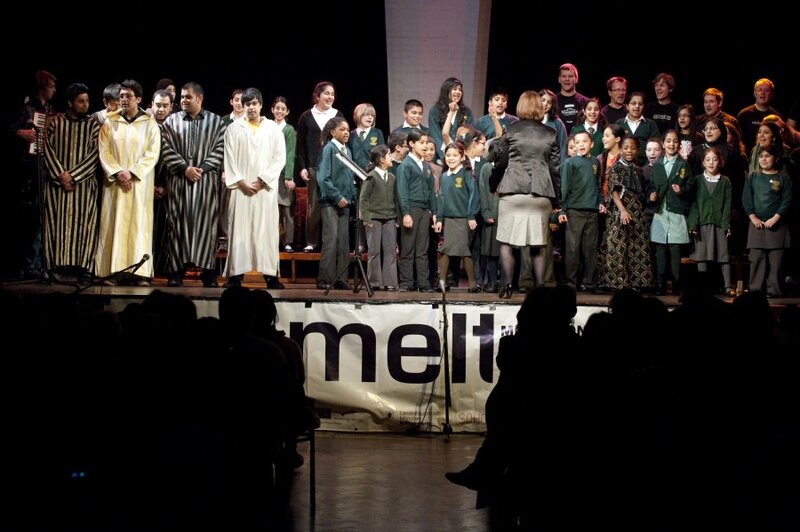 MELT considers local communities, their ever-growing cultural diversity and their creative potential as core factors for a European identity, and particularly examines the impact of cultural influences that have migrated into the communities and that form a dynamic part of local tradition. With the intention of giving visibility to this cultural diversity and creative potential, MELT has been established as a process of (self-)discovery and experimentation, developing into a gradually intensifying exchange with different partners from local to international level. The creative process and its various activities develop in five phases which are headlined “discovering”, “experimenting”, “giving visibility (I)”, “melting”, and “giving visibility (II)”. Within this framework, the partners’ festivals (Vienna: Soho in Ottakring, Genoa: Suq, Sighişoara: ProEtnica, Birmingham: Summer Community Arts Festival, İstanbul: Cihangir Festival) function as compact “anchor points” that provide space for different phases simultaneously. While the particular focus will be on music, fusion of art forms and cross-cultural experimentation are explicitly encouraged. Seeking cultural inclusion, MELT puts emphasis on creative processes rather than mere products, and stresses participation as both an important methodological tool and as a basis for the project’s credibility.